HUNTSVILLE, Alabama – The building where BizTech operates a startup incubator in Cummings Research Park is now under new ownership. Creekwater Investments, a subsidiary of Huntsville-based PROJECTXYZ, closed on the 20,832-square-foot facility Friday and will act as landlord to BizTech, the Women’s Business Center of North Alabama and Rocket City Launch. 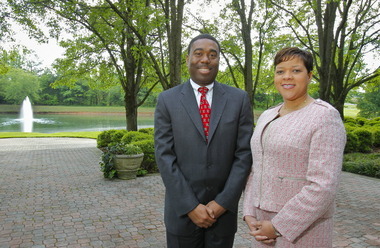 PROJECTXYZ Chief Executive Officer Kimberly Lewis and company President Larry Lewis confirmed the deal Tuesday morning. The office building, which is directly across from the University of Alabama in Huntsville and minutes from Redstone Arsenal, will continue to be an entrepreneurial center for the local startup community. BizTech listed the property with John Blue Realty early this year. PROJECTXYZ declined to reveal the purchase price, but said they began looking at the facility months ago. Like a hospital incubator that provides care and protection for premature babies, BizTech has worked for two decades to foster technical startups in the Rocket City, but things have been rocky in recent months. Retired Huntsville Times publisher Bob Ludwig was tapped earlier this year to lead the organization temporarily after the abrupt resignation of former CEO Gary Tauss. BizTech will lease most of its space back from Creekwater while it develops a new five-year strategic plan for the organization, which now has nearly 20 tenants. Ludwig, who said BizTech’s VIBE co-working space in downtown Huntsville is alive but struggling, said the incubator is trying to broaden itself and build coalitions within the community. WBCNA announced in September the 10-year-old organization had outgrown its current space at the Chamber of Commerce of Huntsville/Madison County on Church Street and was looking to expand. President and CEO Joanne Randolph, who was BizTech’s first CEO, said she and Ludwig have been collaborating on how both organizations fit into Huntsville’s changing entrepreneurial ecosystem. The nonprofit organization, which served more than 3,200 clients in 2013 and received the novation of the Small Business Administration’s TechRich contract this year, plans to move to the BizTech building in mid-December. WBCNA currently has five full-time employees and dozens of contractors and volunteer business coaches and trainers. WBCNA moved to the Chamber in 2008 with one office on the second floor. Two years later, the organization expanded to the entire third floor, where they have continued to grow and prosper. Larry Lewis said Rocket City Launch, a program of MindGear Labs in Madison, will also have office space in the facility. In early September, Rocket City Launch won a $50,000 cash prize from the U.S. Small Business Administration to assist advanced manufacturing companies in the Tennessee Valley. Creekwater will operate in the facility, which will eventually be rebranded under a new name. Kimberly Lewis, a former WBCNA board member and the current vice-chair for small business and events at the Chamber, said they plan to meet with an architect soon to discuss redesigning the building. PROJECTXYZ, a minority woman-owned small business, provides healthcare consulting, project management, information technology, engineering and prototype/fabrication services to a wide variety of clients. Foot traffic at VIBE has picked up in the last month, but Ludwig said community members haven’t fully caught on to the concept of co-working. The space has recently been used for high-school tutoring sessions, restaurant training and CEO roundtables. In July, Ludwig told AL.com the need for startup space in Huntsville is not as critical as it was 20 years ago when BizTech was founded. Ludwig, who expects to be interim CEO for the next year, hopes to have a clearer vision of BizTech’s future upon completion of the five-year plan in the coming weeks.